We’re going to be speaking with Tori Mistick. She is a consultant, coach and blogger. She’s also a go-getter and a social media influencer. She’s huge on Instagram. You can check her out. She has well-over 30,000 followers. What she’s going to talk to us about is how you can roll your business being super specific and super niche. 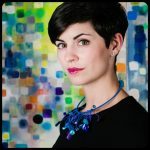 When most consulting companies or individuals decide to go into the space, they start out broad and what I love about Tori’s strategy is that going broad as a social media consultant and marketer and coach, she decided to go specifically niche. 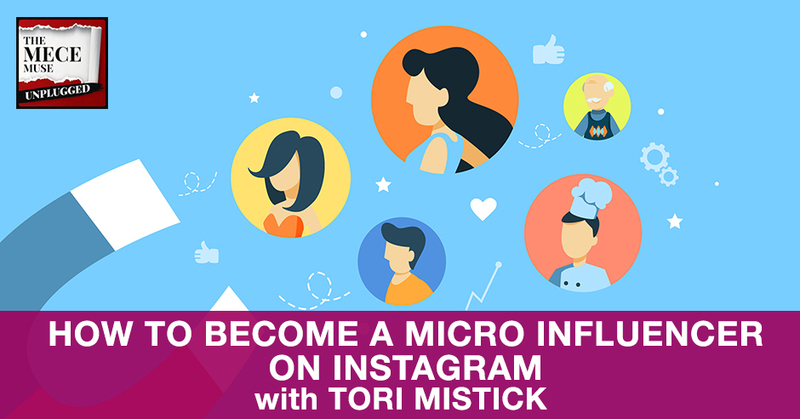 Tori’s consulting business primarily focuses on helping women grow their business using Instagram. 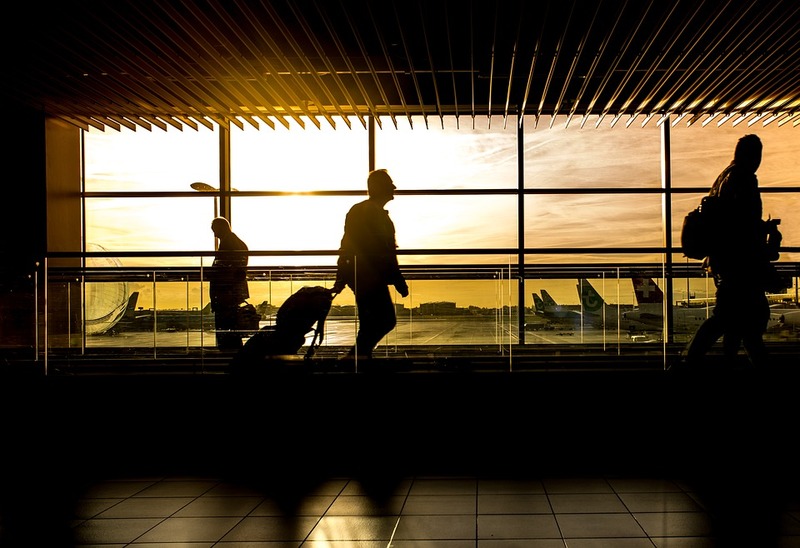 It’s a cool story and a great example of how you can take a different path and be able to take your business to the next level. You’ll enjoy this conversation, go-getters. Tori also leaves us a freebie. You will find a tutorial on how to create Instagram stories. What I love about Tori’s best practices, they actually work. I’m still on my journey to greatness when it comes to my social media game. I’ve had a bad social media presence up when I decided to begin to grow my presence from the ground up, and so check out my Instagram. You can follow me on @MECEMuse on Instagram. You’ll see some of the tactics that Tori shares on this show as well as in her tutorial. Tori, thank you so much for joining us on the MECE Muse. How are you doing? I’m great. Thank you for having me. Tori, where are you located at this moment? Thank you so much for making time to connect. 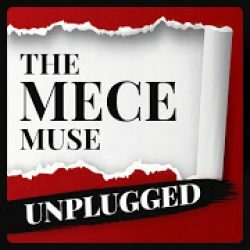 Tori, maybe we can start by introducing yourself to the go getters of the MECE Muse Unplugged. My name is Tori Mistick. I live in Pittsburgh where I was born and raised, and I’ve been a social media consultant for about eight or nine years working primarily with small businesses here in Pittsburgh, but I’ve also consulted with businesses all over the world and with large nonprofits and museums and brands and just a huge variety. For about eight years, I consulted on every social media you could imagine and even ones that don’t exist anymore. Then in 2017, I rebranded my business to niche down into Instagram coaching and consulting. Since my last name is Mistick, I called it InstaMistick and came up with some fun branding around that with crystals, which I’m into personally and it’s a nice positive vibe message to everyone and started focusing in on working with women entrepreneurs and creative women. It’s been exciting. I never heard anyone say micro niche before, but I definitely have created a little micro niche for my consultancy. It never ceases to amaze me just how effective you can be. You think you’re going to reach less people when you go super specific, but you reach people who are a better fit for you. My business has grown a lot and I’m more fulfilled by it since I did that. That’s been cool and then in addition to all of my social media work, I started a blog about me and my dog. That has taken off as well. It’s called Wear Wag Repeat. I create content there for stylish dog moms. I went to your site and all your different social media. I don’t get impressed that often, but I found your brand to just pop online. It’s very clear who you are. It’s very clear who your brand is for and everything you have looks phenomenal. I’m like, “I want to be like Tori when I grew up with my social media.” If you want to step up your social media game, you want to step up your Instagram game, Tori is the person. I definitely can use your help because that is an area of opportunity for me. You talked about being a dog mom. I’m one of those folks that have a ton of dogs that I follow on Instagram. When I saw yours. Tell us a little bit about your baby. She’s a six-year-old chocolate lab named Lucy. I feel like I’m on a dating show and I’m giving her dating profile. Her favorite foods include bananas and yogurt and I work from home, so we spend a lot of time together. Working from home and being a consultant for all these years, like having a set schedule helps me stay productive and stay efficient with my work. My dog is such an integral part of that because she likes to eat her breakfast at exactly 7:00 AM and she likes to eat her dinner at exactly 5:00 PM. I have set bookends at either end of my day and we usually take a lot of walks in the middle of the day too, which is nice because it’s getting up out of your chair and away from your computer. I listen to a lot of podcasts when I walk her. I love listening to business podcasts while we’re walking and then I come back to my computer and I have a million ideas. Lucy is my partner in business and life and everything. I was looking at all the pictures online of Lucy and she is adorable. Thank you for sharing a little bit about that. It’s very impressive, you’ve got well-over 30,000 followers on Instagram. I’ve been working hard at that and that’s how I decided to pivot my business and focus on Instagram. I’ve found the way to have a lot of success over there and developed a system to grow that, in a way, wasn’t working anymore on Facebook or Twitter. There was a crossroads that you faced in which you decided to get more into a niche space. Maybe share a little bit about what happened during that time and what was your experience making that conversion? Back to the early days, when I first started a few years in to my social media business, I remember saying to myself, “If I’m still managing people’s Facebook fan pages in ten years, just kill me.” It’s funny that it was about eight or nine years when I decided to change the structure of what I was doing. I grew in the same way that Facebook grew and changed and like many relationships, we grew apart. I don’t enjoy spending that much time on Facebook. It was draining to me and it was hard to get my clients’ pages to perform the way that I wanted them to. I was growing my Instagram account for my blog and in about a year for my Team Mistick account, I grew it from 1,500 to 10,000 in about a year. I was enjoying it and that it’s lots of fun. I was meeting amazing people. That’s my favorite thing about Instagram is that you can still meet and make friends on there because it’s so open and most people have public profiles. There are some people with private profiles, but in general, you can just reach out to anyone, whether it’s a brand or a person, a friend, a celebrity. You never know who’s going to reply to your comment on your photo. It was so fun and enjoyable to me. In 2017, for the first six months of the year, I was part of a mastermind group. Have you ever done a mastermind or do you know what that is? I’ve never done one yet but for go-getters that may be new to that term, maybe if you can just give a little bit more insight. I talk about masterminds. I was blabbing about it with my girlfriend and after the sixth time, she was like, “What is that?” I was part of this mastermind group. There were two women who lead it and they were both business coaches and there were four of us enrolled in the group. We paid to be a part of it to get their business advice and to get each other’s business advice and they had different kinds of programming involved in it each month. It was a paid program. We met twice a month and had an additional coaching calls with the two women who lead it each month. They encouraged me to transform my business and I came up with this idea InstaMistick. They were so supportive and encouraging of me. Thanks to this amazing group of women in the mastermind group, at each meeting, you would present whatever you are dealing with in your business at that time. Then everyone would give input. Some of the other women in our group we’re starting a new retail store, for example. All had different struggles and different niches that they were in but we could still benefit from each other’s advice. If you’re listening and have an opportunity to do a mastermind group, I highly encourage it because that’s the whole reason why I went headfirst into this switch of my business. They supported me when I was like, “I’m going to have a launch party for this.” They all came. I never celebrated my own business. Micro Influencer: A favorite thing about Instagram is that you can still meet and make friends on there because it’s so open. I’d spent so many years trying to boost up all of my clients and working a long time, doing all their social media updates and I had never developed my own brand. Just having their support and being able to bounce ideas off of them, it was the push that I needed to realize that I wanted to brand myself and my business and pursue this niche. It is scary to limit yourself to such a specific niche of people and to make your brand all pink, which mine is. You’re going to alienate some people and I’m not for everyone and that’s fine. I don’t know how to wrap this up in a pretty bow but that is how I got to where I am today. As you made the switch and things started to take off, you’re about a year into this micro niche. Is there anything you would’ve done differently? For the past year, I’ve been obsessed with growing my email list. I don’t know if anyone else is in the same boat, but I feel like everywhere I turn, every business coach that you see on Facebook and Instagram, it’s like, “How to grow your list. You have to grow your list.” I’ve been completely obsessed with it. If I could have done anything differently, it would have been to have started building my list earlier. You can never start too early. You could even not have a business and you could start compiling a list. Ask your friends and family if they could be on your list because the more people you have on your email list, it makes it easier then to sell packages later down the road. I developed an online course, which was basically my Instagram coaching package turned into an eCourse. I released that in October and it was successful. It had a conversion rate that was on par with industry standards, but I had a very small list. I didn’t sell a lot of courses but the conversion rate, it’s like 2% of people on your list typically will buy your course or your package or whatever you’re trying to sell. I wish I had more people on my list of course. I spend a lot of time working on that. It’s funny you mentioned about growing your own list. I was having a conversation with one of my mentees about building a brand and building a business. I gave her the same advice that her whole business, up until this point was all on social media. She had a Facebook page and she did a lot on Snapchat and different tools, but she didn’t own anything. One of the things I mentioned to her was that, “You’re building the social media platforms business. Let’s say if one of these was to shut down, you wouldn’t have something to fall back on.” How do you take that and repurpose and start something different? From a risk perspective, go-getters out there, do what Tori did. Build your own email list. That’s your own list of followers. They follow you wherever. Build your own website, have your own domain name, just things to make sure things are under your name and under your control. You never know, things change so quickly and dynamically in the world. I think it’s a great way to protect yourself. Any thoughts on that? I completely agree, especially people tend to flip out a little bit about the algorithms. I don’t worry too much about that. If you’re authentic and has some strategy behind what you’re sharing, and you go out and outreach to other people, you’ll be fine. So many people get so flipped out about the algorithm and my posts aren’t being seen and all this stuff. If you develop an email list then it doesn’t have anything to do with the algorithm. You’re not going to have 100% open rate on anything ever. 100% of those people won’t see your stuff, but you will own that list. If Snapchat got bought out tomorrow and ceased to exist anymore, which is possible, you would lose that entire following there. Encouraging people to join your email list and what I do and what I’ve learned from a lot of other people is to have some freebie that you offer to people. For me, my latest freebie that I offered to everyone is a tutorial on how to create good-looking Instagram Story highlights. Those little highlight balls that show up underneath of your bio. I created a little screen share video of exactly how I do that and how I make the covers look pretty. If people want to unlock that video, they have to share their email address with me. That’s one of the strategies that I use to grow my list because these social networks we’re putting a lot of effort into growing up their businesses basically. It’s great to have a lot of followers and I love having a lot of followers, but who knows what I might do later in the future. It’s nice to have everyone’s email address too. It’s fun. I created the tutorial the day that it was Lucy’s birthday. All the stories that are in the video are from Lucy’s birthday. You can see her with her birthday present and me shopping for her birthday present. There are puppies included, it’s educational and there’s a dog, so you can’t go wrong. When you were starting to grow your brand, you mentioned that you went from 1,500 to 10,000 in about a year’s timeframe. When you were growing at that level, at what point did you realize like, “What I’m doing is working,” at one point in that journey? Or was it overnight? It’s like wildfire happened type thing. It did happen pretty quickly. That was over a year, but it was probably slower to go at the beginning and then it picked up more momentum and then I became obsessed with having to get to 10,000 because when you go from anything below 1,000 up to 10k, you get that little k on your profile. I was obsessed. I spent hours and hours every day on Instagram trying to grow it. I remember realizing how many hours growing each week and then if I was consistent with my engagement and all the different things that I was doing, I could predict how many new followers I would get each week. Right now, I grow about 400 followers per week and at that time I was probably growing more 500 or 600 per week. It was fast, but I was putting an insane amount of time into it. Now, I’ve regulated my time and spend what I considered to be a normal amount of time on it. That’s what’s cool. I’ve always been into the numbers and the data and I love looking at my Google analytics and seeing what performed well, where my traffic came from, and I love looking at the back-end numbers of stuff. It’s interesting if you can get familiar enough with the numbers that you can predict how many likes a photo will get or how many followers you’re going to get each week. Then it means that you know your business well and you can make projections like you would financial projections. When you say hours when you were growing that 500 to 600 a week, how many hours would you say in a day you were spending? It would be interesting to understand was it spending time engaging with replies and likes or were you just posting content? My strategy when I started to take my Instagram account seriously, I don’t think I ever posted more than once a day unless there was some special occasion going on or something like that. I’ve always been a once a day or five days a week. I don’t usually always post on the weekends. There was a time when I posted Monday through Saturday. When I was in that crazy growth period, I posted Monday through Saturday and these days, I only do Monday through Friday. Back then when I was growing like crazy, I was probably spending more than two hours a day on it, which is a lot of time. It goes by very quickly if you’re having your coffee in the morning and doing Instagram. An hour goes by very quickly and then if you’re sitting on the couch at night watching TV, another hour just flies by. It didn’t seem like it was consuming my life, but I was spending a lot of time doing it. The main thing that I did then and that I still do now to grow my account, I follow lots and lots of dogs and I love to see all these dogs and all these dog moms. I enjoy it. It’s not a chore for me ever. That would probably be some good advice for someone if you’re trying to grow an Instagram account. Make sure that you’re passionate about whatever you’re posting and who you’re engaging with. The bulk of my time I spend going on hashtags and liking and commenting on a lot of posts under each hashtag and then going in my explore feed and finding hopefully new accounts that I haven’t seen before and liking them and commenting on their stuff. Usually if I find someone who I liked their feed, I’ll follow them. If it’s a chocolate lab, I’ll almost always follow them. What are your thoughts on the ability to monetize your social media accounts? That’s a question that I get from people that are like myself. I employed at a consulting firm and maybe looking to have a side hustle and then others that they’re looking, entrepreneurs that are looking to add an additional revenue stream or how do they monetize their blog. Any perspectives on that? When you say monetizing your Instagram account, most people mean like doing sponsored posts. Is that what you’re talking about? Any way to generate revenue, whether it’s a sponsor accounts or any kind of insights. 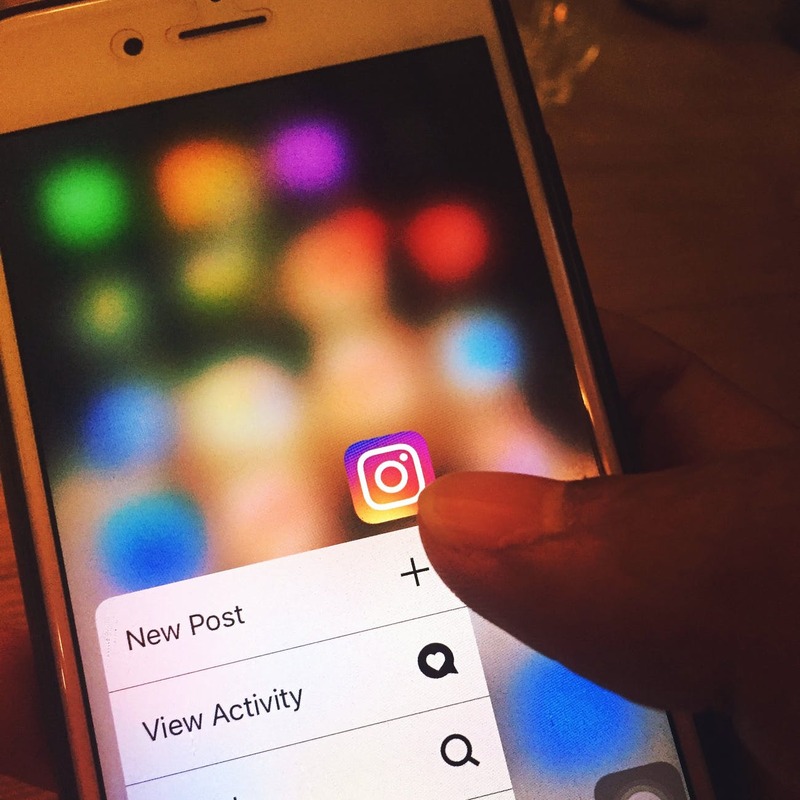 Right off the top of my head, there are a couple of different ways that you could monetize your Instagram account. You can do sponsored posts. Generally, most people would require you to have at least 5,000 followers to do that. Different people, different organizations, different companies have different requirements and some people don’t care about your number of followers at all. They might like your photography style or they like your brand or maybe you have a highly engaged fan base and you get more traction on your post than someone who has 10,000 followers. There are a lot of different variables and there’s not like one number that you have to hit in order to be a sponsored content. You can look up like a sponsored content network or a sponsored post network. You can Google those and there’s a bunch of different companies that exist that facilitate these kinds of relationships between influencers and brands. Like any ad agency, they have a bunch of brands that they work with and some set budget and some product that they want to promote, and they might send you the product. They just ask you to talk about some service or experience and they might pay you anywhere between $10 or $300 or more depending on who you are. It’s like the Wild West. Influencer marketing is such a buzz word and the hot topic right now, but there’s zero regulation about it at all. There is regulation that you have to disclose if you’re being paid to talk about something, but other than that, there’s no standardization of how many followers. Number of followers does not equal amount that you would be paid for something. It’s just up to you and if you are real go-getter, you can go out and approach brands and see if they want to do some sponsored content with you. I’ve done that as well. Another different way that you could approach monetizing your social media is to use affiliate links. If you have a lot of followers and you think you can get a lot of clicks on something, you could share affiliate links on Amazon or many other different sites and you could get paid a small commission if someone buys something that you promote. You could try that approach and with all those things you have to disclose that it’s an affiliate link and that you could make money off of it. When in doubt, always tell people what you’re up to. Then another way you can monetize your following is like I was talking about how your email list size correlates to how many people will purchase one of your products or one of your courses or something like that. You could encourage people who are following you on social media to buy what you’re offering. A lot of people forget to mention that. They love to talk about what they do and what they’re working on and all this stuff, but they forget to tell their followers that they are available for hire. That’s an important key message if you’re trying to make some money. I get conflicting perspectives on this topic and I’d love to hear your perspective. I hear some marketers advise people that they should focus on only specific social media channels where their target market is. For example, if you have a product that is sold to baby boomers, maybe Snapchat is not where you want to be because most baby boomers are probably not on there. I’m sure it’s growing, but for the most part, a lot of baby boomers are on more other types of channels like Facebook or LinkedIn or that sort. Then I hear other marketers say, “It doesn’t matter. You should be on all social media channels regardless of where your target market is to have that type of visibility. Regardless of the tone of your brand.” What’s your perspective? I know you do micro niche, but you used to be across all social media. What does the take you have on that? First of all, I do think that it is a good idea to claim your username on as many places as you can just so that no one else takes it. Although, by claiming your username or your brand name on all these different networks, that will also help your SEO ranking a little bit on Google because you’ll have more inbound, more links leading to your website. If you create a profile on every different social network and it directs to your website, that’s more outside links going to your website and so Google will see that and assign a little bit more reputability to your website. That’s a perk for sure. However, it is unrealistic to be able to populate content and manage audiences and manage communities and all these different places. While I agree that you should claim all of these things, I also agree that you should pick the ones that are going to be most beneficial to you. It might not always be what you think it is. For my InstaMistick account, I have an Instagram account, @InstaMistick. I post curated, beautiful photos over there. I do ads on Facebook because of my target audience. 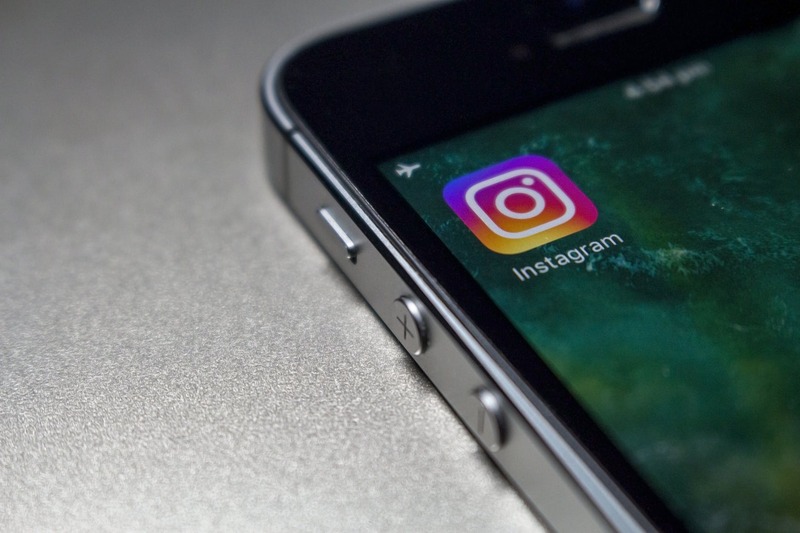 If I’m trying to attract people who need help with their Instagram accounts, maybe they’re not spending a lot of time on Instagram. Maybe they’re on Facebook more because that’s where they feel their business customers are, their friends are or something like that. I actually do Facebook ads to attract people who need help with Instagram. Sometimes you have to step back and look at it like where is your target customer? It might not be where you want them to end up. Micro Influencer: Make sure that you’re passionate about whatever you’re posting and who you’re engaging with. Thank you for your perspective on that. You studied at the London College of Fashion and you study the history of the stiletto. I was very intrigued by that, as someone who myself love shoes. If there is a term foodie, I feel like I’m a shoe-tie. Share with us a fun fact about stilettos that you learned in your time? I can’t remember the course because I was in college a long time ago. I did Google it really quick because the book is just called Stiletto. I thought it was called history of the stiletto but it was a module in this fashion history course that I was taking. The author of the book was Caroline Cox and she came and spoke to our class and she wrote this whole book called Stiletto. It’s very interesting. I feel like there’s some fact way back in my brain about them being used as weapons, which I could totally see. It might have also been in that class, but men wear high heels before women. If you look back at portraits of King Henry VIII, they were way more dolled up than the women. It was very ornate and all of those French noble men and kings, they all wore high heels. It’s very interesting history to look up. You can order the book on Amazon. It’s fun little book to read. You also have a podcast and a blog with the podcasts. Maybe tell us a little bit about that. My blog is called Wear Wag Repeat. It’s wear because it’s about style and dogs. On there you can find a lot of photos of me and my dog, Lucy. I also do crafts and DIYs and recipes for dog treats. We also like to travel and take road trips and go to the dog friendly stores and dog friendly restaurants and things like that. It’s basically all the things you could want if you want your dog to be with you all the time and still do fun things, which is I think what we all want in life. My blog is fun. I’ve been listening to podcasts. I probably like a lot of people. I got into podcasts listening to serial and I was obsessed with that show and I started listening to more and more. I can barely walk my dog without listening to one. I’m addicted. I had the idea to start my own podcast and it goes along with my blog. It’s also called Wear Wag Repeat and you can find it everywhere you listen to podcast. On that show, I interview women entrepreneurs in the pet industry. Once again, it’s very micro niche but it’s been fun. Within that little micro niche, there are actually so many different specialties I’ve interviewed, pet photographers, people who make dog treats, someone who has a kick starter, she’s making a better dog crate. There are just so many cool people who I’ve met all over the world and it’s just been fun. I’m sure you can relate. It’s just cool to talk to someone for half an hour who you’ve never met before and learn all about them and you now have friends all over the world, which is fun. Tori, this is such a great conversation. You live such a fabulous life. I know I’m going to be reaching out to you because I need to step up some things and hopefully have a brand that pops the way yours do so. Thank you for taking the time to connect with us, Tori.